Amidst the sea of insulated water bottles, Welly Bottle has become our new favorite. 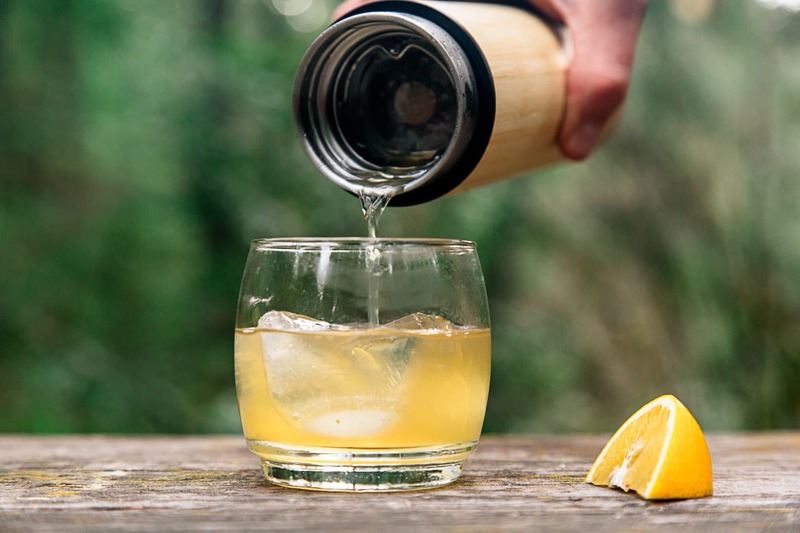 From a frothy latte in the morning to a refreshing infused water during the day to a chilled mixed drink at night, the Welly Bottle is more than just a water bottle, it’s an all day drinking companion. Read below to get an exclusive 15% off discount code. Insulated water bottles have been a “thing” for quite a while now. 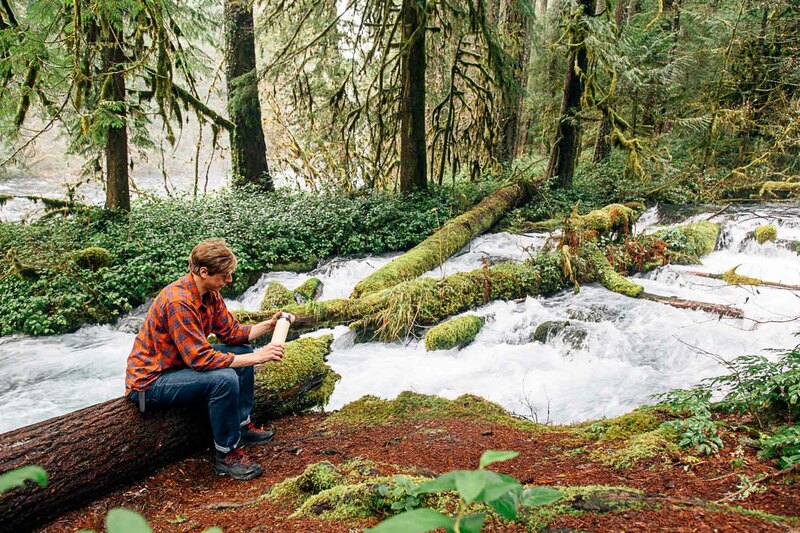 What started as a niche product for outdoor enthusiasts has expanded into a movement for the masses. Now, insulated water bottles are everywhere and come in every size, color, and cap configuration you could possibly imagine. But despite their rise in popularity, insulated drinkware still tends to be single function. Some have a configuration that’s good for hot liquids, while others are better designed for hydration. We personally own insulated coffee cups, tumblers, and pint glasses as well as a few novelty items like wine glasses. They all work fine, but ultimately serve just a single function. So which one do we use the most? When it comes to traveling, we’re minimalists and favor multi-purpose gear. Which means we’re only bringing one water bottle with us – not our entire collection. And on the past few trips we’ve been on, that has been our new Welly Bottles. Welly Bottle is relatively new to the scene, but this company has come out of the gate strong. Not only have they designed an exceptional insulated water bottle, but they’ve made some innovative improvements that really set their design apart. First, the basics: The bottle has a double-wall construction and is made from 18/8 food-grade stainless steel, so drinks stay warm for 12 hours and cold for 24 hours. 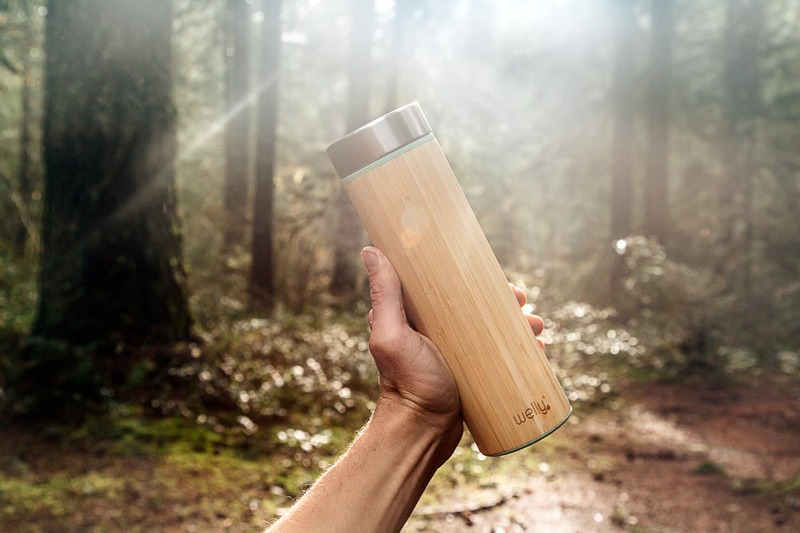 The exterior is wrapped in sustainably grown bamboo, which gives the bottle both a natural look and feel. (And is much nicer to hold on a freezing cold day than a metal bottle!) The insulated cap screws into the top, with the threads on the inside, so you have a nice smooth surface on the outside from which to drink. And finally, the rubberized boot at the bottom provides a stable platform that also keeps the bottom from getting dinged and nicked. Okay, now for the cool part. Each Welly Bottle comes with a small mesh infuser that sets into the top of the bottle with a click. This can be used to brew coffee (hot water & grounds), brew tea (hot water & loose leaf tea) or make a variety of infused waters (cold water & different fruits). Just mix everything inside, then pour through the mesh strainer into a mug or glass. But that’s just the start! There’s so much that can be done with it as well, like using the infuser to make a frothy latte in the morning or shaking up a mixed cocktail in the evening. 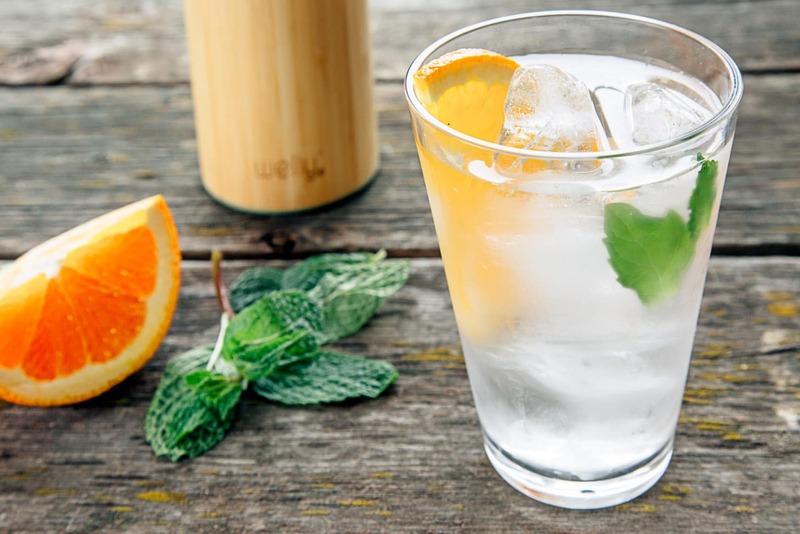 So if you want to take your Welly Bottle to the next level, then check out these three unique drink recipes below. 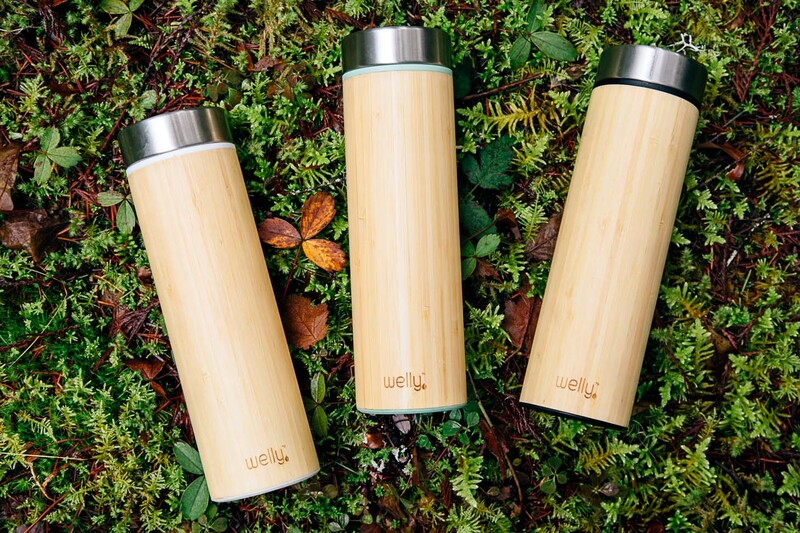 So if you’re looking for an insulated water bottle that is stylish enough to take to a yoga class, but versatile enough to take out for a week of camping, than Welly is your bottle. As a Fresh Off the Grid reader, you can now get 15% off when you enter the code: FRESH15 at check out. For each bottle sold Welly will donate to $1 to Charity: Water, helping to bring clean drinking water to those in need. Visit wellybottle.com for more information. Combine all ingredients in your Welly bottle. Snap in the strainer basket, seal the bottle, and shake vigorously for 30 seconds. Enjoy right out of the bottle, or pour into a mug. Combine all ingredients in your Welly bottle. Snap in the strainer basket, seal the bottle, give it a few shakes and let the flavors infuse for at least 10 minutes. Throw it in your backpack to keep you refreshed and hydrated during the day’s adventure. Add all ingredients to your Welly bottle. Snap in the strainer basket, seal the bottle, and shake vigorously for 30 seconds. Place a few ice cubes into a cup and strain the cocktail. 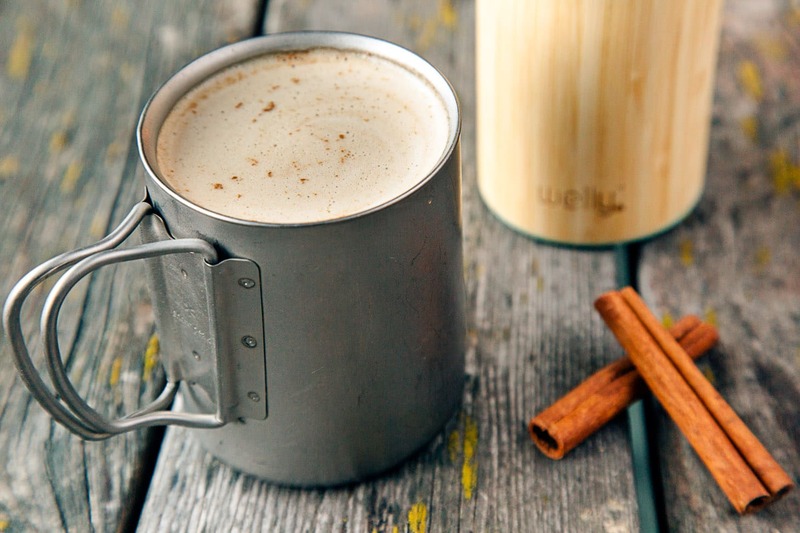 Enjoy this nightcap next to the glow of your campfire. A latte maker, water infuser, and cocktail shaker all in one insulated water bottle! Visit wellybottle.com for more information and enter FRESH15 at checkout to receive 15% off your order. Does it have any aftertaste from coffee or other strong beverages? Like a lot of bottles, if you drink coffee, rinse it, and fill with water, it will have a slight coffee aftertaste to it. However, since stainless steel doesn’t absorb flavors, we suspect it’s from residual oils left from the coffee. But a quick wash with soapy water and a bottle brush does the trick.